The other day, I watched part of a video concerning someone’s deconversion and it made me think, even though I could not listen to or watch the whole video. The response was to the statement Christians often make to those who leave Christianity. You know the one, “Well, you were never a Christian.” That statement really irks me when I hear about it and somehow I know that is an unfounded assumption. I can expand upon my thoughts below, if need be, but I think this would also explain why I was so attracted to Catholic-like practices, such as that found in the Episcopal Church, even though I grew up Fundamentalist Evangelical. One of which I realize I am going out on a limb to discuss and explain, but, like many others, religion had a very profound psychological affect on me. After leaving home, I went to the Episcopal Church for a while until I deconverted. When it came to religion from childhood onward, especially talk of the Crucifixion, I literally felt pain as though it were happening to me. Do not ask, I do not think I could explain it in comprehensible terms, but come to find out in recent years when I started exploring all this stuff, there is, in the Church something called "Spiritual Stigmata" (and you do not have to be Catholic to experience it), but I call it purely psychological. There are two kinds- physical, which I do not believe actually exists, and spiritual/psychological, which is invisible, except to the one feeling it. The second one is the one I am talking about, which is VERY REAL to the individual and I have gotten terrible migraines (stomach and head) and other maladies when it comes to religion. Just looking at the cross can/has cause(d) me great pain. Therefore, I cannot fathom anyone could say I never took it seriously, even though I never went to my Fundamngelical minister great uncle's altar and turned my life over to Jesus Christ. I took it very seriously. I would say, such experiences are almost similar to people speaking in tongues, yet it is different and yes, I can still feel this phenomenon, just as some ex-Christians can still speak in tongues, especially when religious crap gets to be too much for me, especially concerning talk about the Crucifixion. I have to remind myself, "this is not real", still to this day, which I really hate, especially when I know how it occurs neurologically. However, this is purely psychological and I learned a few things over the years. For example, I also had an "earache" when one of my sons had one, before they said anything to me about it. When they were sick, I was "sick". This still happens sometimes, especially when I empathize too much with a person. A pediatrician once told me the name for this, but I forgot what it was, and explained that the pain was very real, but the illness itself was not. However, he was right and without discounting my discomfort either. You can find this psychological issue in realm of psychology too, but still I am not sure of the name of it and no, I do not think it is hypochondria, but it is psychosomatic and I think falls under the category of somatoform disorders. My older son wonders why I am so obsessed with neurological psychology and why I keep chalking up religious [spiritual/experiences] phenomenon to neurology. For me, it is very simple and while I do not always understand or empathize, I can sympathize though with other people's experiences and I can understand how people hate such a statement, as "Well you weren't really a true Christian". It even angers me, because IF I did not take Christianity seriously, IF I did not truly believe it, and IF I was not a true Christian then technically I would not have had such psychological experiences. It takes someone who believes to have such psychological experiences. As much as I ranted about the Crucifixion, Communion, and alike, even while in the Church, the fact is, I did take it very seriously. If I did not, then my mirror neurons would not have been working overtime and most of the time when I went into a rant about it, especially if it was about the Crucifixion, I was experiencing psychological repercussions because of it, which felt VERY real to me. I even had feelings of transcendence, much similar, if not more powerful than what nature does to me, during an Episcopalian mass. It is also why I look so much towards psychology, neurology, and even the religious meaning behind it all, in combination to get an overall picture of myself and why I experienced things the way I did in the Church. I can easily place the religious definition of all of this in a psychological perspective, but that doesn't necessarily make what I felt unreal- the pain was very real, just as what we feel when have a sick child is real. "A stigmatic (i.e. the person suffering from the stigmata) may have one, several, or all of these wound marks. Moreover, they may be visible or invisible, and they may be permanent, periodic, or temporary in appearance. " "Accordingly, since the stigmata is a sign of union with our crucified Lord, the genuine stigmatic must have lived a life of heroic virtue, have endured physical and moral suffering, and have almost always achieved the level of ecstatic union with Him in prayer." "A spiritual stigmata occurs when a pious individual has feelings similar to the wounds received by Jesus at his crucifixion." There is more behind it all than just what I bolded, which deals with the psychological part. There are feelings, which are psychological, and experiences of the individual involved also. I think all of this plays into one’s religious and spiritual experiences. However, you can see why I get so pissed off with such statements, because when I was a Christian, I did take the core doctrine of Christianity very seriously, maybe too seriously. I had mirror neurons and other neurological and psychological things at play. Therefore, while I cannot always understand what other ex-Christians talk about in Fundamngelical terms, I can really empathize with the feelings that come with such statements of "Well, you never really were a Christian". I know from experience that that simply is not true, but how a person experiences Christianity is very much an individual thing. To this day, when I hear those words, I just want to go off on someone, because they have NO IDEA! The sad fact of the matter is, this is some serious stuff, and in my opinion, once one understands the psychology and neurology behind it all, it sheds a whole lot of light on why and how people react to religion. In addition, the more I look into the psychology and neurology of it, the more I start to understand some things about myself, even how seriously I took it when I was a believer. However, I think it also explains why I went the route I did after I left home, which ultimately led to my deconversion, especially when I began to research and learn about the matter. So, in reference to those who came directly out of Fundamngelicalism, in part because I never understood that, even though I did grew up in it, I do understand and even comprehend other things- such as anger with that stupid statement, "you were never a true Christian" and how much we each truly believed as individuals. I know the statement is simply not true and it is all an individual experience, but I truly believe, we all took it very seriously in our own way, based on our psychological make-up and what I am saying about psychological stigmata is just one example, but a very personal example. The people who make such statements have no idea; much less understand the psychology behind any of it. This is just my two-cents on the matter concerning such a statement and I apologize to those who do not understand this particular psychological phenomenon, but to me, it was real and I did not like it all nor did I appreciate it. It was a very miserable and painful feeling to me, even though some people consider it a gift. However, I obviously believed it, even though I did not want to believe it was ever real. In other words, the adults in my life forced Christianity on me, as it is the case with many people, and I did not want it, even though somewhere in the process I started to believe it on some level. 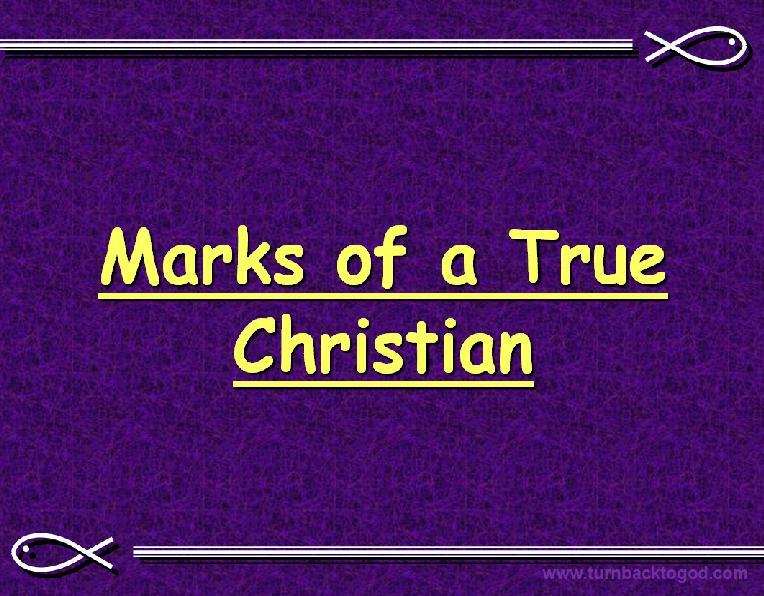 Thus to tell someone they were never a Christian, is to discount the psychological experiences they had as a Christian and many people do have various psychological experiences as Christians. 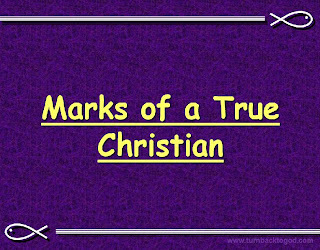 ExChristian.Net: What the Hell Is a True Christian?